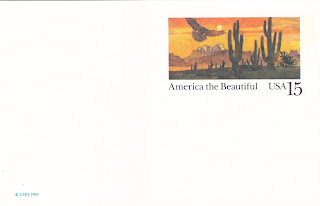 The second postal card in the America the Beautiful series was issued January 13, 1989 in Tucson, Arizona. The design features an eagle soaring over the Sonora Desert in the golden glow of sunset. 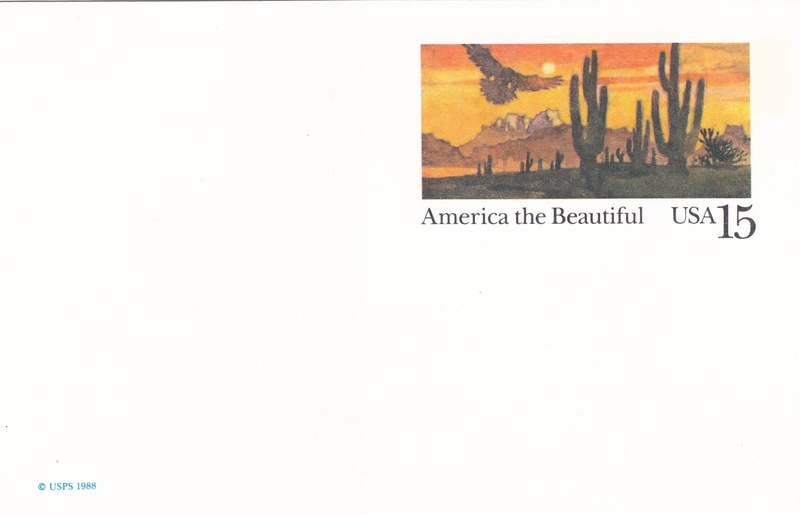 The 15-cent stamped card was the first philatelic item of 1989 by USPS.